Goodreads: She’s prepared for her wedding all her life … but she forgot a few things. Kritters Thoughts: A christian fiction novella length story that is a part of a collection. 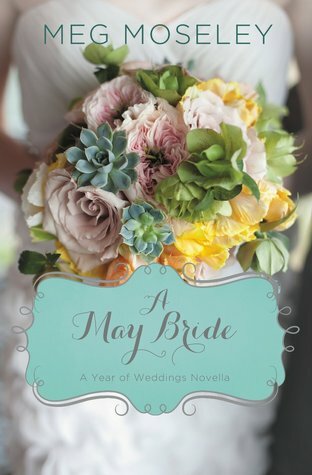 A collection of monthly bride books was published in 2014 and I was intrigued to read a few of them - this was one. This one centers around Ellie Martin who is a new real estate agent in Atlanta, GA and comes from an interesting family that takes over her thoughts often. You can tell from early on in the book that her family has made an impact on her and maybe not the most positive impact. In walks Gray Whitby who will try to sweep her off her feet and in any romance book nothing can go just right. I think the big problems I had with this one was the author was trying to go from 0 to 60 in 120 pages and it just felt too much in such a short space, so it made feel too much like a roller coaster. She was trying to jam a full romance novel into half the time and romance novels need the pages for the couples to have the ups and downs of a relationship, so this felt rushed and just off putting. I would read this author again, just may prefer to try a full length novel next time.